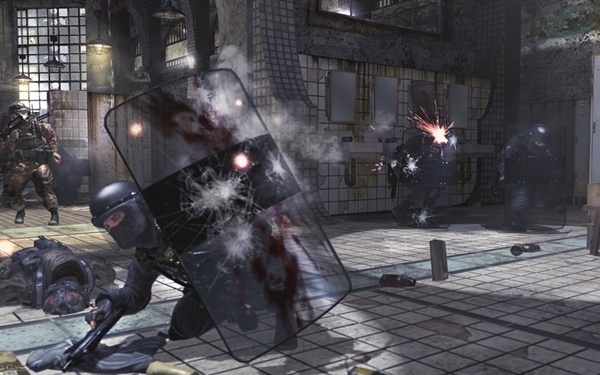 Let's face it, it's been a long time since we've known there wouldn't be campaign co-op in Modern Warfare 2. We got a short quote about how it didn't fit into the single player campaign, and that was that. We argued, and kicked dirt at the umpire, but really it didn't solve anything. But now we get a little more detail behind the decision from Infinity Ward's Robert Bowling. Spec Ops was born from the good parts of the ditched co-op mode, Bowling said. Now I like Infinity Ward, I really do, and they make an amazingly immersive single player experience in the Call of Duty games; but perhaps they just can't craft that into something two players can enjoy? It's not like it can't be done, with titles like Halo 3, Gears of War, and Resident Evil 5 showcasing an awesome co-op experience through the game's single player. I would have liked to see them take the "leave it as an option" route though - something Treyarch did with Call of Duty: World at War. Was it ideal in the game? No, not at all. Was it fun? Hell yeah it was. We just played a Brazilian Spec Ops level with Rob at a London hotel: it’s awesome. From the looks of the latest GameTrailers.TV episode which unveiled some footage of the mode, there's going to be a good variety of gameplay in Spec Ops. The juggernaut looks particularly fun and will definitely require some teamwork and communication to bring down. Page created in 0.3059 seconds.